Thread: [Notice] Daily Reward Increase! We'll be shaking things up for a bit. Turns out there was an error with our shipment and we received oodles and oodles of rewards! More details below! 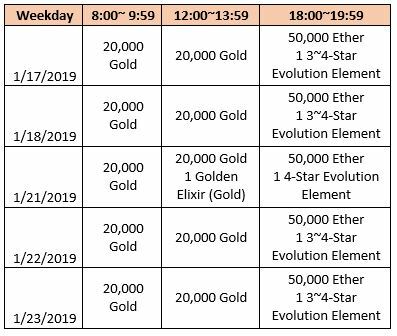 Daily login rewards will be increased according to the chart below. Please Note: Starting from 1/24, the reward will be reverted to previous items.